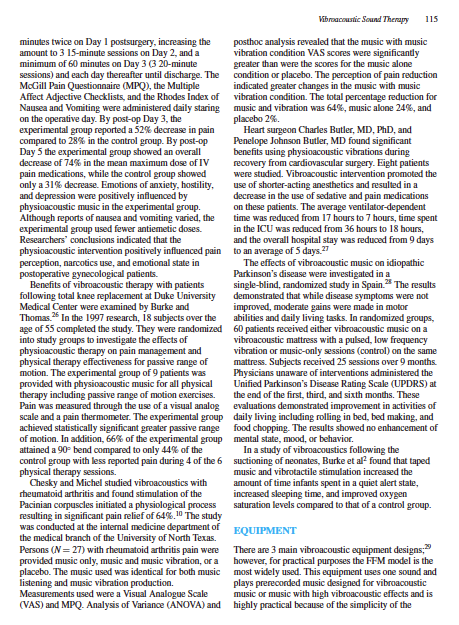 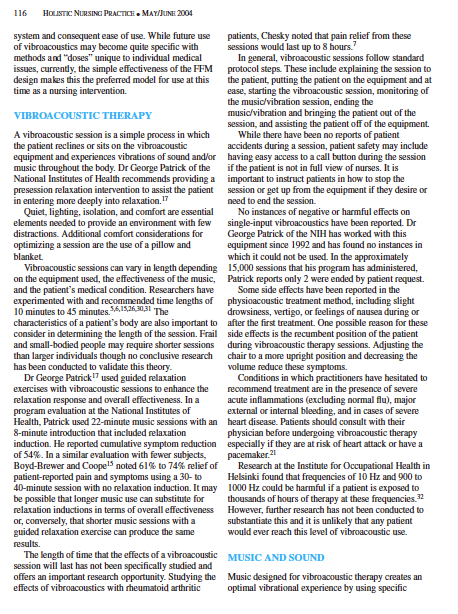 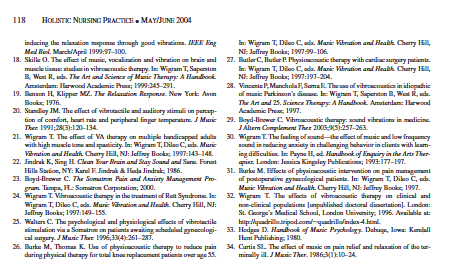 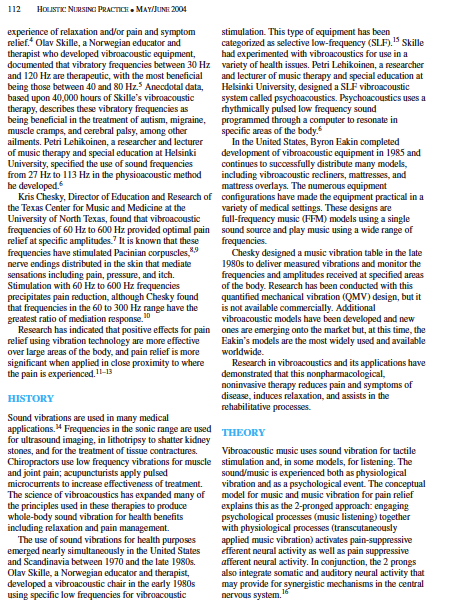 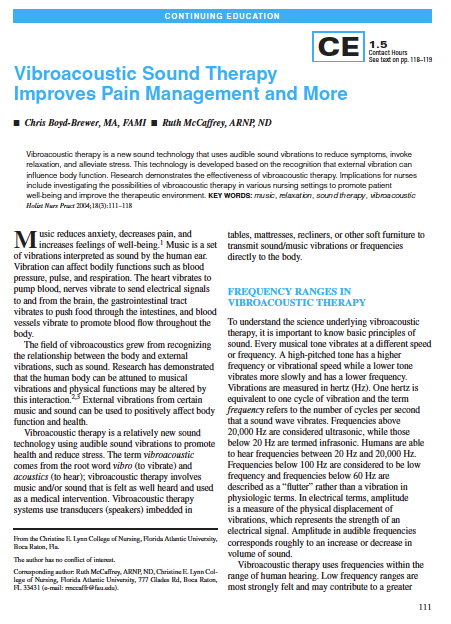 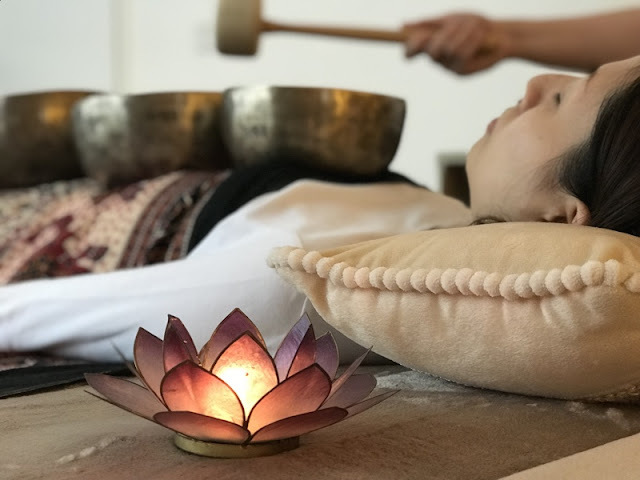 Extract: Vibroacoustic therapy is a new sound technology that uses audible sound vibrations to reduce symptoms, invoke relaxation, and alleviate stress. 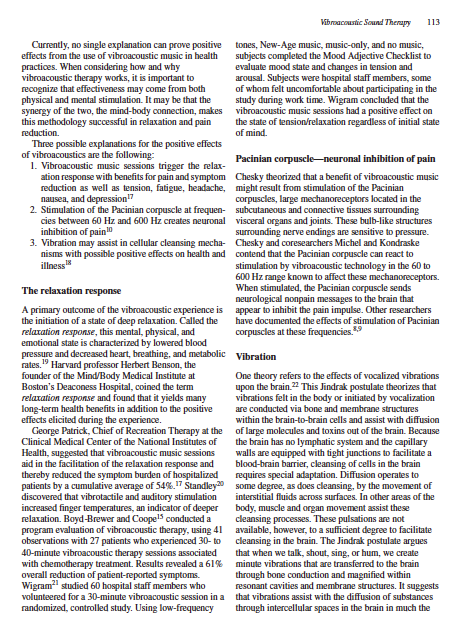 This technology is developed based on the recognition that external vibration can influence body function. 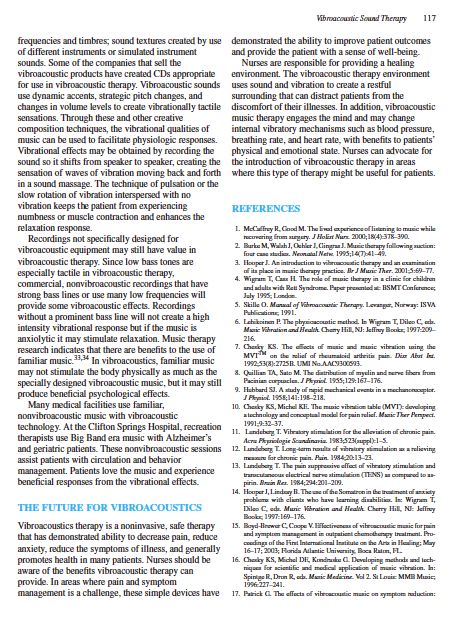 Research demonstrates the effectiveness of vibroacoustic therapy. 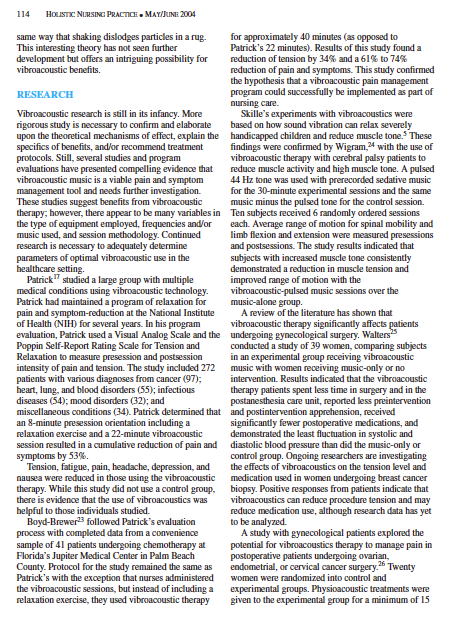 Implications for nurses include investigating the possibilities of vibroacoustic therapy in various nursing settings to promote patient well-being and improve the therapeutic environment.